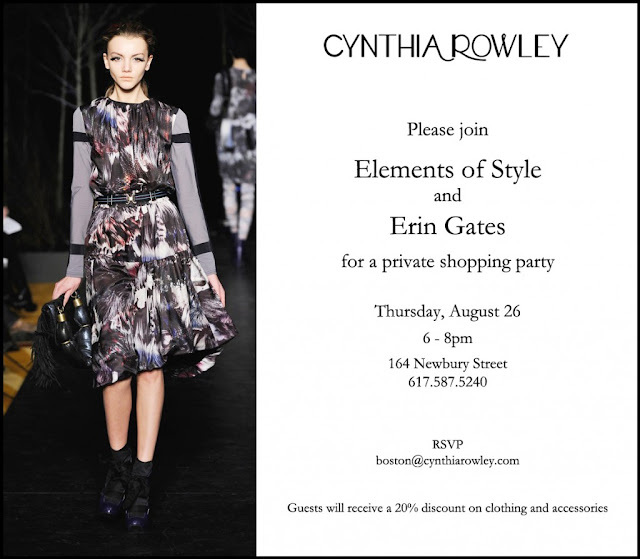 Trying my best to make it to this Cynthia Rowley event tonight to check out the fall clothes and meet some lovely local bloggers, including Erin Gates (Elements of Style), Sami (A Glimpse of Glamour) and Naina (Style'n). I really hope my schedule works out! Yes do come! I will be the girl with the big flower on her head!! Ooh nice. Hope you all get to meet up! Photos please if you do. Marissa-great meeting you last night! Sorry, March, no pictures, but it was so nice to meet everyone! SO nice to meet you, Marissa!! I hope to see you soon at another Boston Blogger event!